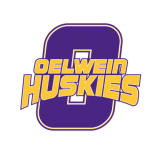 The Oelwein Middle School would like to recognize the following students as they have been recognized as Husky PRIDE Award recipients for the 3rd quarter. 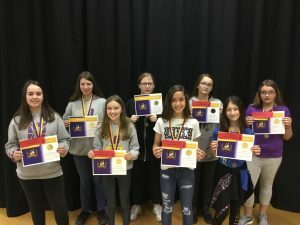 The Husky PRIDE award is received by eight students each quarter for representing PRIDE in school. The PRIDE acronym stands for Positive, Responsible, Integrity, Discipline, and Excellence. The following students have been recognized by the OMS staff as showing these values in school. Back Row, Left to Right: 7th grader Santana King, 8th grader Rozalyn Flower, 8th grader Erica Hershey, and 5th grader Allie Knowles. Front Row, Left to Right: 6th grader Nevaeh Stewart, 6th grader Claire Prouty, 7th grader Maria Rael, and 5th grader Ava Nielsen.